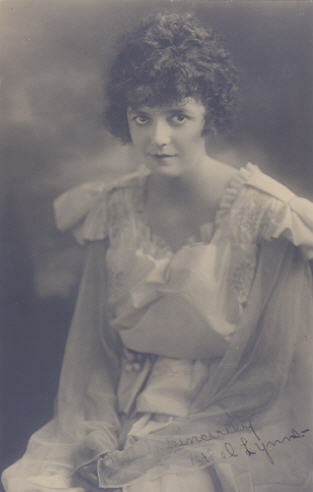 The actress Ethel Lynne appeared in movies from 1915 for the first time, to her early performances in front of the camera belong "Wanted: A Leading Lady" (15) and "Love and a Savage" (15). Already in the next year she became a demanded movie actress but her career lasted only few years. To her next movies belong "When the Losers Won" (16), "Across the Hall" (16), "He's a Devil" (16), "His Baby" (16), "His Wedding Night" (16), "Bride and Gloom" (17), "Suspended Sentence" (17), "The Milky Way" (17), "The Honeymooners" (17) and "Thirty Days" (17). To her last cinematical works belong "Five to Five" (18), "In the Dark" (18), "This Way Out" (18), "Brides for Two" (19) and "The Amazing Wife" (19). After a short interruption followed her last role in the movie "Ever Since Eve" (21).